It's more bad news for casual game behemoth Zynga, which has been slapped with a lawsuit by fellow developer Digital Chocolate over its infringing use of the Mafia Wars name. It's been a bit of a rough ride for Mafia Wars lately. Last week Zynga was threatened with a lawsuit by the city of San Francisco after it glued a pile of fake $25,000 bills to sidewalks in various parts of the city in order to promote the game. It's not as bad as throwing turkeys out of a helicopter but it still turned out to be a pretty boneheaded move, as the cost to clean up all that fake money was apparently pretty substantial. Now the company is looking at another suit, this one filed by a game studio which claims that Zynga has no right to be using the Mafia Wars name in the first place. Digital Chocolate, a casual game developer launched in 2003 by Electronic Arts founder Trip Hawkins, released a mobile game called Mafia Wars back in 2004 and claims that it informed Zynga that it holds the rights to the name last year. Zynga allegedly promised to stop using the name but soon after launched a "multi-million dollar" marketing campaign with 7-Eleven and filed two applications to register the Mafia Wars trademark for a range of other products. Zynga has "falsely claimed to the public, the United States Patent Office and the courts that it 'coined' the Mafia Wars mark and owns superior rights to the mark," according to the complaint. 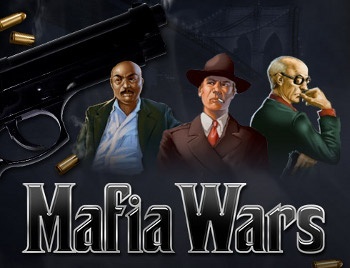 This isn't the first Mafia Wars-related lawsuit Zynga has been embroiled in. It settled a copyright infringement case with the maker of Mob Wars, a similar online game, in September 2009 for an estimated $7-$9 million, and earlier that same year sued rival casual company Playdom over its ad campaign for the game Mobsters. "We are surprised and disappointed by Digital Chocolate's lawsuit," the company said in a statement. "The timing of the action appears to be opportunistic, and we plan to defend ourselves vigorously." Digital Chocolate is seeking an injunction against Zynga's continued use of the name, the voiding of Zynga's Mafia Wars trademark applications, the transfer of the mafiawars.com domain to its possession, "corrective advertising in an amount double that which Zynga has spent promoting its products and services under the Mafia Wars mark" and all promotional materials - containers, signs, wrappers and the like - containing the Mafia Wars label. Oh, and money, too: "Any and all revenues and profits that Defendant has derived from its wrongful actions," along with treble damages, attorney's fees and so forth.